After hearing that Electrum was released for Litecoin a few days ago I decided to set up an Electrum server. The Litecoin Block Explorer is already used by many, and is known for it's reliability and speed, I thought it'd be a good idea to run an Electrum server too. If you don't know what Electrum is, Electrum is a thin-client for cryptocoins, recently Pooler from the Litecoin Community has ported it over for Litecoin, and quite a few Electrum servers have been launched. Electrum allows for a seperate server to handle the blockchain and transactions, while your private keys stay on your own computer, so the server can't steal your coins. 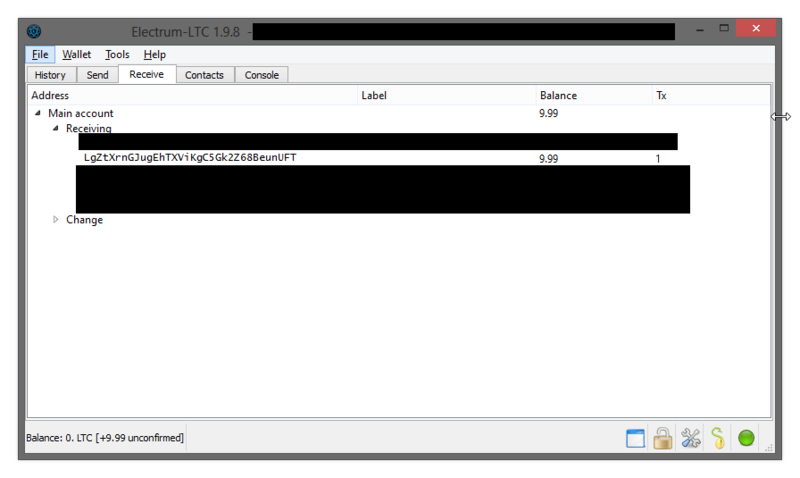 As of today (2014-04-12) you can now add explorer.litecoin.net to your Electrum client, and enjoy the speed Electrum provides. NOTE: This guide is outdated. Electrum includes the block explorer by default thanks to IRC bootstrapping. 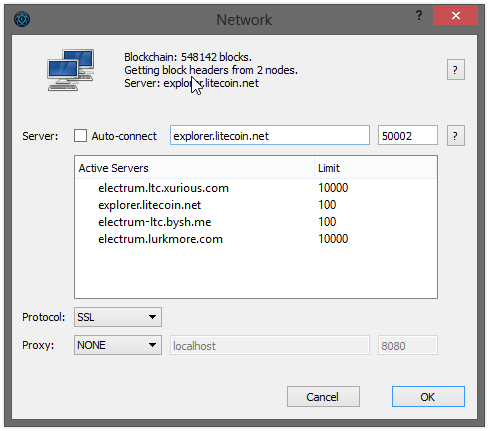 After you've set up Electrum, you can continue using the default servers, but if you want to use the Block Explorer's server, all you need to do is click on the Green or Red circle in the bottom right to open up the network servers, untick "Auto-connect", and then enter in the Server text box "explorer.litecoin.net". You can leave the port as 50002 (default), and the Protocol is SSL. Click OK to save. I think Electrum is one of the greatest improvements for Litecoin so far; downloading the blockchain has always been a hassle, even with Bootstrap.dat. Electrum makes this experience much faster, and allows a new user to get into Litecoin without waiting hours to sync their client, using several GB of disk space, and it also uses a lot less RAM making it great for even less powerful computers. I'm personally switching to this myself (at least until something like blockchain.info's wallet comes out), as it's a much smoother experience in my opinion. I'm hoping to keep the Explorer's Electrum server running for a long time, but it depends on community support. If few people use the Electrum server, and nobody wants to donate (The addresses are in the banner in console), then it may be taken down. Otherwise I will keep it running fast, secure, and reliably for as long as it needs. If you want to keep the Explorer's Electrum server running, PLEASE donate.